The two main obstacles that face any genetic research project in the Arab countries are the dearth of comprehensive statistical data on genetic diseases and their prevalence rate, and the lack of funding due to widespread ignorance about the science of genetics. 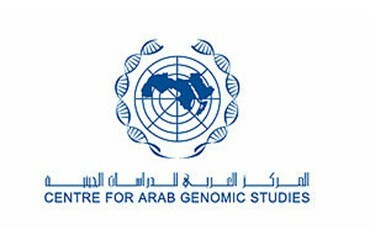 Professor Taher Al Sharqawi, Faculty of Medicine and Health Sciences, UAE University and member of the Executive Committee of the Centre for Arab Genomic Studies (CAGS), said that genetic diseases are some of the most common health problems in Arab countries, resulting in a burden on the health care infrastructure and the local economy. "We had hoped to see greater progress in genetic research in the Arab world, but it is lamentable that the greatest Arab researcher in this field currently resides in Canada, although his invaluable research continues to be of great benefit. "Those who can donate funds to genetic research do not have enough information on the subject. We also have a shortage in human resources in this crucial field of study. I was surprised when I came to the UAE 18 years ago - there was not a single clinical geneticist, the UAE University does not even have a hereditary diseases section at the faculty of medicine, such a section is vital," Prof Sharqawi said. He said that an Arab Committee for Studying Genetic Diseases was set up in America by 30 Arab Scientists for studying genetic disorders among Arab populations. To this day, the improper record keeping practices at hospitals in the region are among the major obstacles standing in the way of getting a clear picture of prevalent genetic disorders, which is vital if any fruitful research is to be carried out in this field. "We would first need to know what diseases to focus on and what to ignore, but collecting such data is a problem in the Arab world as each country has its own unique data collection process and there is resistance to change. "We need a unified data base of genetic diseases. We are currently working on such a data base and trying to work with scientists from around the Arab world to find a system that everyone can accept," Prof Sharqawi said. "The larger the family sizes the bigger the chance for genetic disorders to manifest themselves. There are many good efforts being made to deal with this problem. "The first goal is to treat patients and rehabilitate those suffering from such disorders with the ultimate goal of limiting the prevalence of genetic disorders and prevention through early detection, pre-natal testing, pre-marital testing and creating awareness among the general public," Prof Sharqawi said. Prof Sharqawi said using gene therapy to fix a defective gene or to stop a defective gene from causing a genetic disorder are theoretically valid approaches and animal tests have seen some success. But, problems arise when medical science comes face to face with ethical, cultural and even religious objections to gene therapy in humans.